If Jets will pay Kirk Cousins 'whatever it takes,' where would that leave Vikings? If you believe the Vikings should consider a run at free agent quarterback Kirk Cousins, some recent rumblings out of New York might make you rethink that position. If you believe the Vikings should at least be considering a run at free agent quarterback Kirk Cousins this offseason — and you will find me in that camp — some recent rumblings out of New York might make you rethink that position. There’s no doubt Cousins, almost certainly set to hit the open market next month, was already slated to set off a bidding war and is certainly going to command more money than Case Keenum or any other in-house candidate the Vikings might consider. The question then becomes how much more is Cousins worth than Keenum or anyone else? That’s still more money than most of us will make in many lifetimes, but with the far less proven Jimmy Garoppolo getting five years and $137.5 million (at least on paper), it would be a discount. As we’ve found with countless athletes, at least those cashing in on a long-term contract for the first time (as opposed to those at the end of careers who have made their money and are now looking to win), the lure of big money is hard to turn down. Even when they have a lot, players often want more. With Cousins rocketing toward the open market … the question becomes whether the next contract he signs will be fully guaranteed, for the full duration of its four, five, or six years. One team already is being pegged in league circles as having the willingness to do it: The Jets. 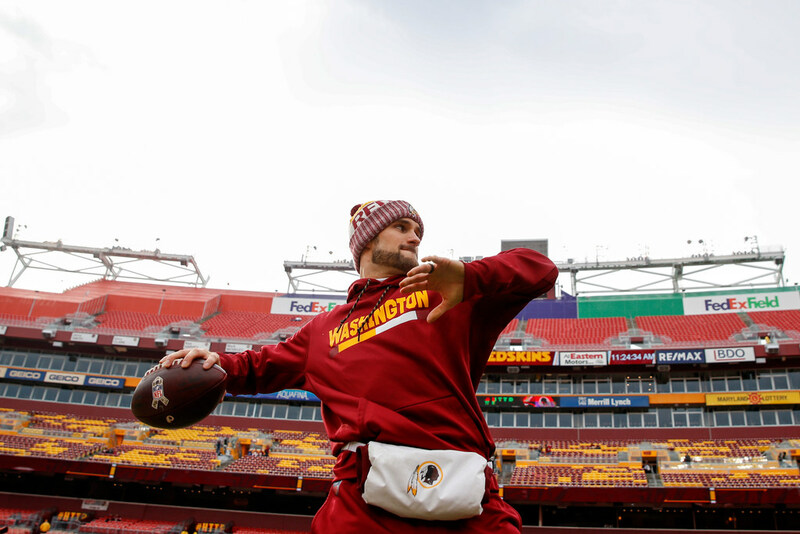 If the Jets will do it, other suitors for Cousins may have no choice but to follow suit. Now, in any other sport this would be moot because contracts are already guaranteed. But in the NFL, they typically are not. There is the reported value of the contract, and the asterisk with guaranteed money. If suddenly Cousins — hardly a sure thing as a franchise-altering QB in the first place — can command that kind of contract from a desperate team, the Vikings (if they are interested in the first place) might have no choice but to look in other directions. This could all be moot very soon. Teams can put the franchise or transition tag on players starting Tuesday, with a deadline of March 6 to do so. If the Vikings tag Keenum, they’ve made up their minds. But if this plays out beyond March 6 and we get to March 12 — when teams can start negotiating with outside unrestricted free agents — without a resolution, it could get very interesting in the back half of the month.